Until recently, syphilis was not very common. 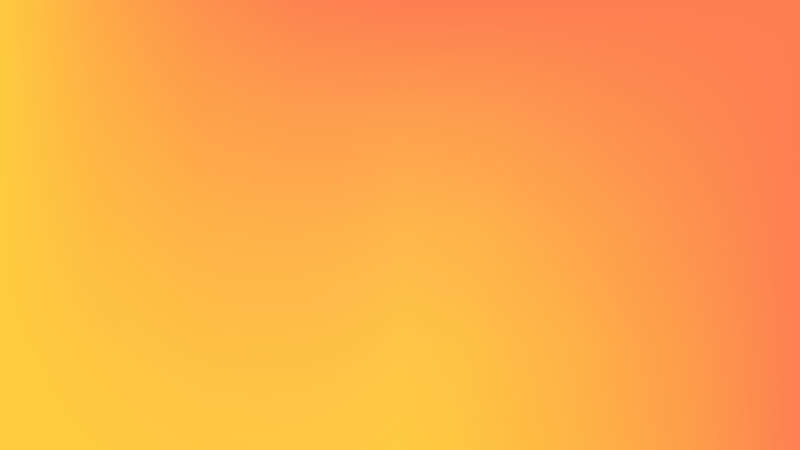 A large rise in the number of syphilis infections in Scotland was observed in the last decade and is now a serious public health concern. 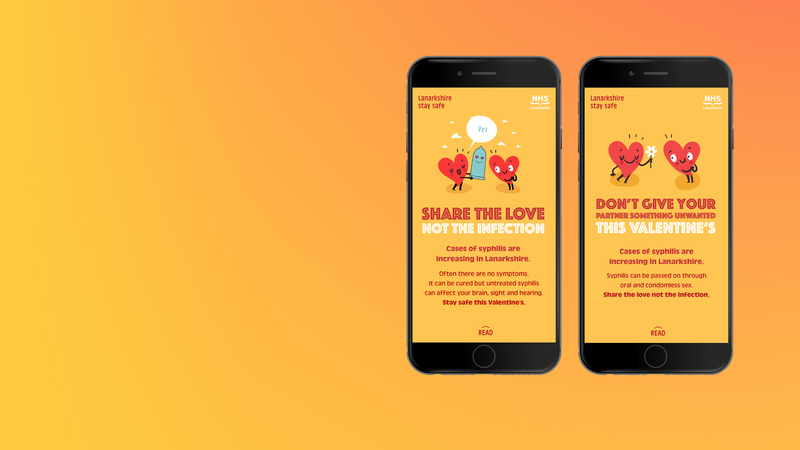 NHS Lanarkshire engaged with Elastic to help raise awareness around this subject to ultimately reduce the number of new infections in the Lanarkshire region. 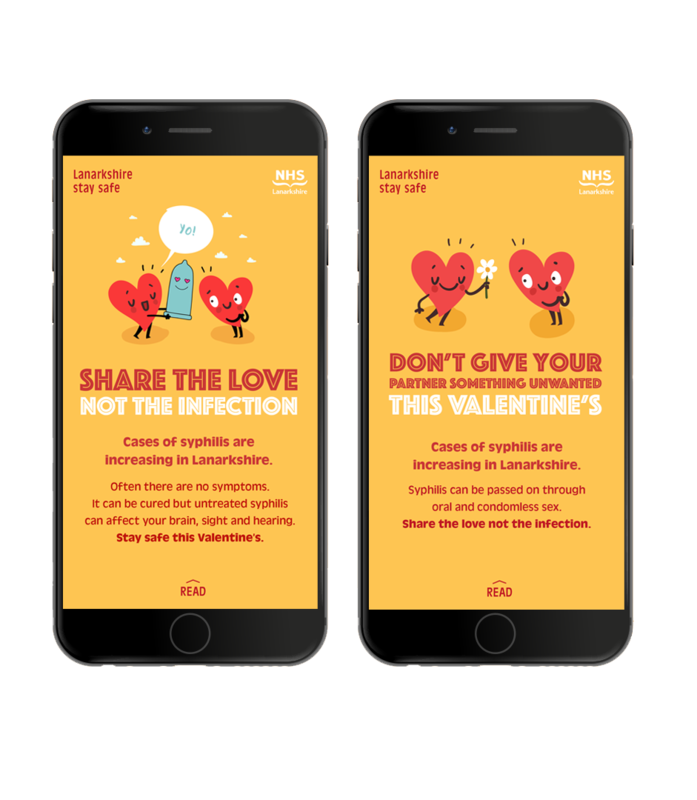 The timing of the campaign co-incided with a period of higher risk taking activity – that being over the festive season and ran until Valentines Day. 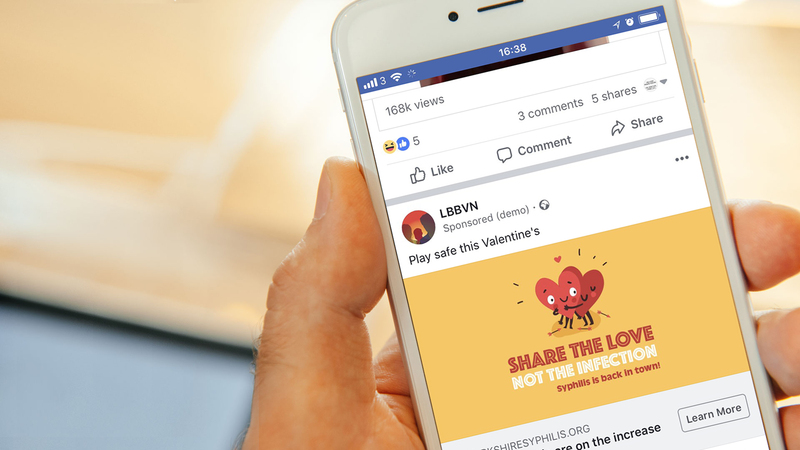 Elastic created a social media marketing strategy and campaign that targeted members of the public in the Lanarkshire region which included image and video content delivered over social media networks including Facebook, Instagram, Snapchat and Grindr. The campaign needed to address three target demographics and be flexible enough to evolve over a 6 week period. 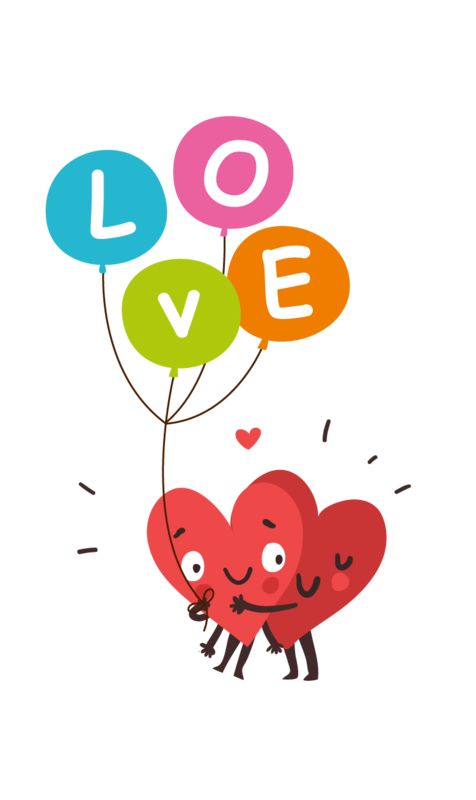 Launching pre Christmas though to Valentines Day. 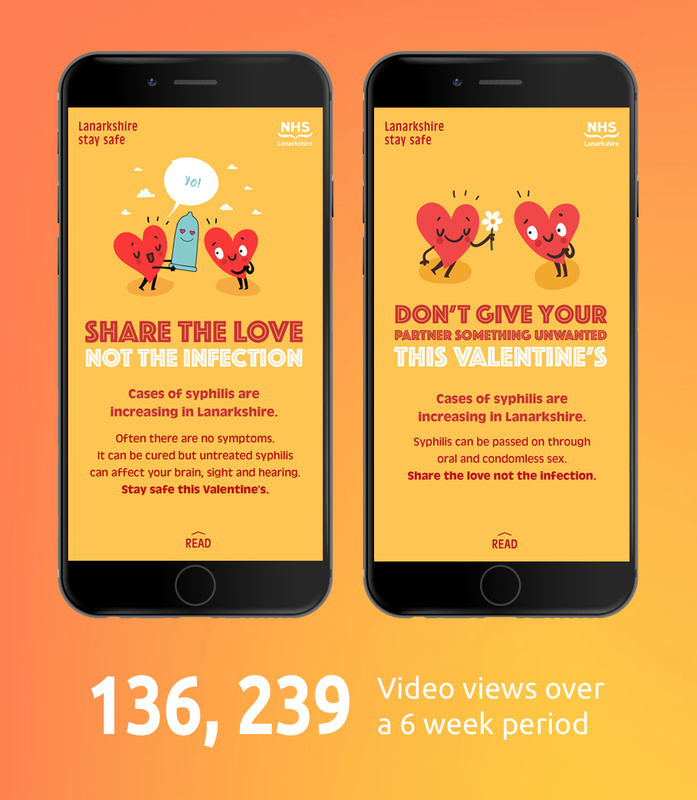 This is a challenging subject area with differing rules and regulations across social media platforms, we worked closely with NHS Lanarkshire to perfect the messaging and tone of voice and comply with advertising guidelines. The campaign was highly successful. The core KPIs were exceeded in all areas. 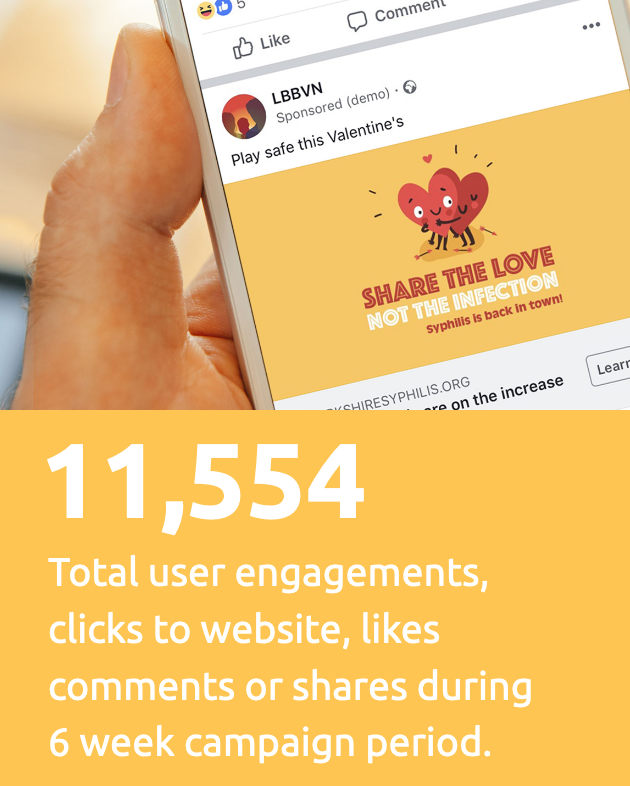 Recent surveys in Lanarkshire sexual health clinics have revealed people have decided to get tested through seeing the campaign on social media. 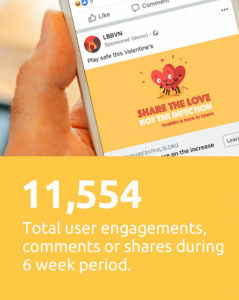 Total user engagements, clicks to website, likes comments or shares during 6 week campaign period.